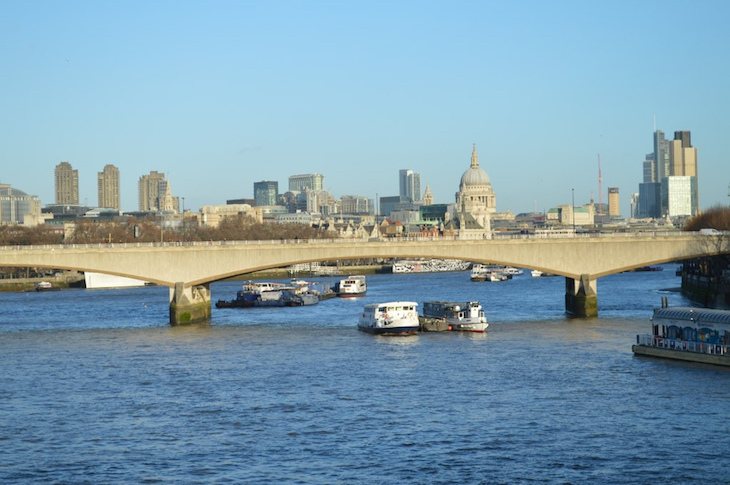 Why Is Waterloo Bridge Sometimes Known As The Ladies Bridge? M@ Why Is Waterloo Bridge Sometimes Known As The Ladies Bridge? Londonist is proud to be media partner for Totally Thames Festival 2016. The men who built Waterloo Bridge are fortunate men. They know that although their names may be forgotten, their work will be a pride and use to London for many generations to come. Herbert Morrison, opening Waterloo Bridge in December 1945. Although well-meaning, Morrison's words must have been a slap in the face to many of the workers who built Waterloo Bridge during the second world war. Why? Because many were women. The female welders, stonemasons and labourers might have been immediately forgotten or ignored by the Deputy Prime Minister of the time, but they live on in folk memory. To this day, riverboat tour guides speak of 'the ladies bridge' as they pass beneath its white arches. But who were the women who built Waterloo Bridge? We're used to reading of the wartime contribution made by women in the sectors of transport, munitions and factory work, but little is written about the construction industry. Many thousands of women worked in this field during the war, filling vacancies left by conscripted men. Their roles were temporary and poorly paid, but included skilled jobs previously inaccessible to women. One of their biggest projects was Waterloo Bridge. By the 1930s the original crossing was over 100 years old and in a sorry state of repair. The Government pressed ahead with a replacement bridge, despite the onset of war and the nightly bombing it eventually brought upon London. The span, designed by Giles Gilbert Scott, was deemed essential for troop movements and contingency planning. A significant but hard-to-estimate proportion of the workforce was female. 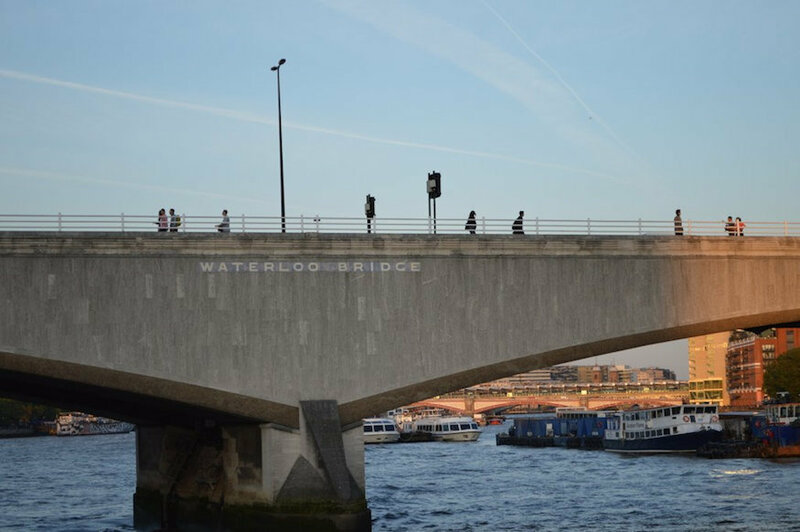 Surprisingly little footage or documentation records their contribution to Waterloo Bridge — partly because it was a structure of strategic importance, and therefore prone to censorship, and partly because records have not survived. Recently, historian Chris Hall and film-maker Karen Livesey dug deeper into the story. They uncovered archive photographs and eye-witnesses to attest to this almost forgotten history. Their resulting video sets the story straight, and includes some marvellous interviews with those who remember the era. Commemorating the work of women building the Waterloo Bridge, will be a number of events under the Totally Thames programme. From 9-25 September (4pm-9pm, Wed-Fri and 1pm-6pm, Sat-Sun), collect a headset from Somerset House to begin your 40 minute musical experience that features new compositions by Molitor, with contributions from drum and synth duo AK/DK, folk band Stick in the Wheel and poet SJ Fowler. The Singing Bridge weaves you along Waterloo Bridge and its surrounding paths to give you time and space to consider your relationship to this bridge and its environs. On 22 September you can see the Ladies Bridge Screening & Panel Discussion. 22-24 September: The little known history of Waterloo Bridge (aka The Ladies Bridge) will be celebrated with live performances, film and large scale photographic projections by Karen Livesey and Concrete History on the National Theatre's fly tower of trail-blazing female construction workers who re-built the bridge. Find out more about the 150 events taking place throughout September for Totally Thames on its website.